Admiral Tony Dalton became head of Helicopter Systems for the ADF in September 2012. He joined the Royal Australian Navy (RAN) in 1980, graduating as a pilot in 1981 and going on to fly helicopters with four RAN helicopter squadrons, an exchange posting with the UK’s Royal Navy and a tour flying peacekeepers in the Sinai. Counting time on the Iroquois, Sea King, Gazelle and Seahawk, he has logged a total of more than 5,500 helicopter flying hours. He completed Command and staff training at the U.S. Naval War College in Newport, R.I. Back in Australia he served in the Navy Aviation Project Office within the Defence Materiel Organization. Further ahead he became Commander Fleet Air Arm in 2008. In 2010, he was promoted to Director General Navy Aviation Systems before moving to head the Helicopter Systems division. 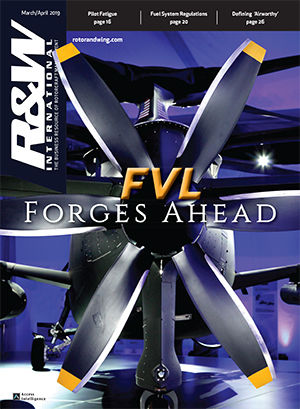 Rotor & Wing: Please provide an outline of the current types and size of the Australian Defence Force rotary fleet. 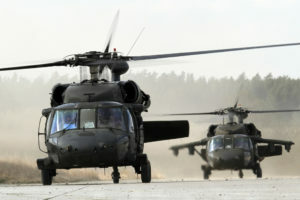 Tony Dalton: The Army currently has 34 S-70A-9 Black Hawks, 22 Tiger (EC665) Armed Reconnaissance Helicopters (ARH), six CH-47D Chinooks, 40 Bell OH-58 Kiowas, and 10 (of the 19 to date) MRH-90s (multi-role helicopters). The Royal Australian Navy (RAN) has 16 S-70B-2 Seahawk “classics,” 13 AS350BA Squirrels and 5 MRH-90s (with six Sea Kings just having been retired). There are also three Bell 429s used for training aircrew and two Bell 412s used for loadmaster training. That’s nine types with a total of around 150 helicopters. 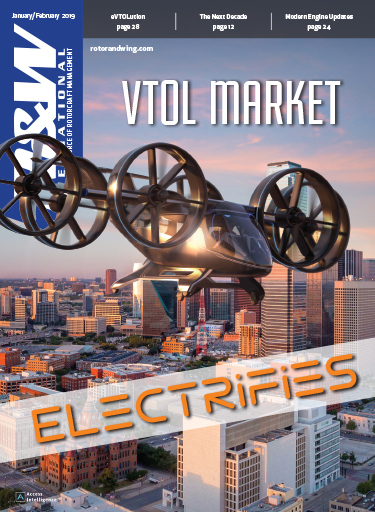 Rotor & Wing: What are you currently looking to modernize? Dalton: The current focus right now is Black Hawks and Sea Kings being replaced by MRH-90. The Sea Kings are being disposed of; we are selling five to a UK-based logistics company that will use them for spares and are in the process of jumping through the hoops with U.S. International Traffic in Arms Regulations (ITAR) – even though our Sea Kings were a Westland product, they were built under license to a U.S. design and ITAR still applies. We are retaining one Sea King for the Fleet Air Arm museum at HMAS Albatross. The Air 9000 concept is the strategic program of ADF rotorcraft capability. Including Tiger, which is being procured through Air 87 that predated Air 9000, if you look at this decade, we will change every helicopter the ADF owns. Phase 2, 4 and 6 of Air 9000 is the MRH 90 program – troop lift, then Black Hawk replacement, then Sea King replacement. Phase 5C is the Chinook replacement program and we already have a foreign military sales (FMS) agreement with the U.S. government for seven Boeing CH-47Fs. 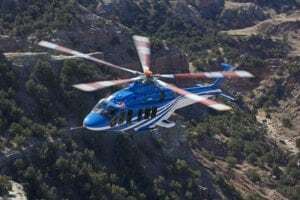 Phase 7 is the helicopter training system that is currently in the tender evaluation phase and will ultimately replace the Squirrel, Kiowa and the two leased types. And Phase 8 is the acquisition of 24 MH-60R Seahawk Romeos, also through FMS, that will replace the Seahawk “classics” and the [Kaman] Seasprites that we didn’t quite get into service. The introduction of the two Canberra Class Landing Helicopter Dock (LHD) ships is a game changer for the ADF. The MRH-90 fits into the amphibious mindset by providing a more robust aircraft for the maritime environment. We will operate the Army and Navy MRH-90s as one fleet. The Navy will continually use six aircraft operationally but they will all be taken from a central pool – so their next aircraft may have previously come from the Army. There will be one paint scheme for all of the aircraft. We will also have the Tiger operating from the LHD when we achieve its Final Operational Capability, but this won’t be until 2015-16. We watched closely what the French did in operating from FS Tonnerre, one of their Mistral Class amphibious ships, in Libya so we have confidence that Tiger can work in that type of environment. Although the decision to build the LHDs was made after the Tiger decision we now need to demonstrate that we can take it to sea. The new Chinook Foxtrots will come with a rotor-brake to enable them to also operate from the LHD. 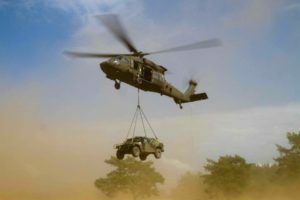 So troop carrying and helicopter insertion will be possible from the LHDs – they can house up to a reinforced regiment of soldiers – whether for power projection, operational reasons or disaster relief. 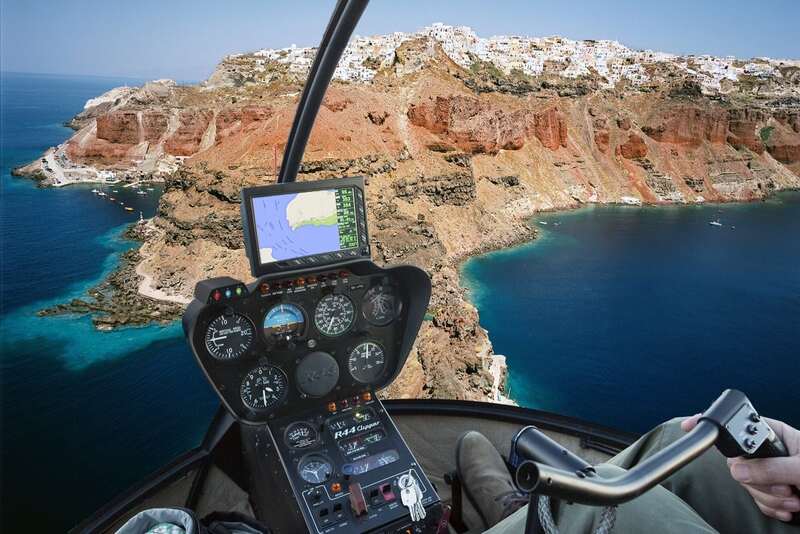 Rotor & Wing: How about the new Air 9000 Phase 7 Helicopter Aircrew Training System (HATS)? I understand this is one that industry is waiting on? Dalton: Yes, HATS will not only replace the Squirrel and the Kiowa helicopters, but we have asked industry to focus primarily on the system and not the platform. We will have a joint helicopter school at Nowra for both Army and Navy helicopter personnel. That is in tender now and industry is awaiting our down-select decision. We are looking for at least two, possibly three options (from the five received), although we can also go directly to one and then develop whatever is selected to the Final Committed Proposal. The final selection decision will be in the first half of next calendar year (2014) with money available from July 2014. The initial downselect will occur within the next few weeks. We didn’t put a lot of boundaries down – just two engines on a flying platform and we didn’t specify the ratio of live verses synthetic. Rotor & Wing: Do you see synthetic playing an increasing role in training? Dalton: We will move towards synthetic. Those solutions are becoming more realistic all the time and there is also the cost saving factor, but there is a balance between that and real exposure, which always has some benefit. What we ask aircrew to do is challenging: operating at low level and during the night on NVGs (night vision goggles), often in poor weather, or returning to a ship at night in poor conditions. You need some experiences in the real world to understand the consequences and perspective that such conditions bring – that edge is hard to replicate in a simulator. Competences are interchangeable between Army and Navy, although the Navy has its aviation warfare officers and the Army its loadmasters – but HATS will deliver an all-encompassing system. What is good is that each of the proposals has approached this challenge slightly differently. The next evaluation phase with the final contenders will be workshop based. We need to be really comfortable that industry has set up a process to deliver what we expect. We don’t want to find we haven’t evaluated closely enough and it falls over. Rotor & Wing: And the RAN now has a solution it likes with the selection of the MH-60R? Dalton: Air 9000 Phase 8 means 24 Sikorsky MH-60Rs replacing 16 Sikorsky S-70-B Seahawk classics and the 11 Kaman SH-2G Super Seasprites that we didn’t manage to get into service. We will accept our first two aircraft from the Lockheed Martin production line in Owego, New York later this year in December. We have learned from the Air Force Super Hornet purchase by staying in America for 12 months to operate alongside a U.S. Navy squadron. 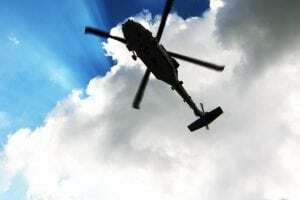 We will ultimately have seven helicopters in Jacksonville, Florida, and will build up our knowledge base and tactics, techniques and procedures (TTPs) in a training program that is already under contract. We have already got aircrew undergoing conversions and they were joined by the maintainers in April. This will build to 112 ADF personnel by the time we bring everything home at the end of 2014. We want to mitigate the risk and limit the potential for surprises. We can use their [U.S. Navy] simulators and at the end of 2014 bring all 112 people and seven aircraft back to Australia so that we can generate the first ship’s flight in 2015. The final Romeo aircraft will be delivered to us in 2016 as the program has been accelerated, but the limiting factor is training the people, not the aircraft delivery. While doing this, however, it is important to maintain our capability at sea so we have military response options to any challenge. We have established that each Romeo flight will go to sea with two aircrews, noting that we will retain the current Seahawk classic crew model of a single pilot in the right hand seat, a non-pilot aviation warfare officer in the front left seat and a non-commissioned sensor operator in the back. Working on the Seahawk classic we usually have 11 maintainers, while on the Romeo we expect this to increase to between 11 and 13, although we won’t make a final decision until we get more knowledge about the aircraft. But it will certainly have more systems, weapons, the Mark 54 torpedo and also we will be introducing Hellfire – rail-launched missiles, which hasn’t been done before in our Navy! That the Romeo was in-service with the U.S. Navy was a decisive factor for us. It has flown more than 100,000 hours and they have over 120 machines in service. We are the first export customer, it is considered a low-risk program and there is a spiral upgrade that we will tap into and – where it makes sense – will stay with the U.S. Navy baseline configuration. We need to focus on ensuring that the sustainment package is right and the Australian modifications are completed quickly and correctly. Rotor & Wing: There have been delays in bringing both the Tiger and the MRH-90 into service. Why, for example, was the Tiger program located in Darwin, which seems not to have the ideal conditions for introducing such a sophisticated helicopter? Dalton: Australia is a big country and there are few places that do not have harsh environments. The Tiger is a key part of the 1st Aviation Regiment and the capability is co-located at Robertson Barracks in Darwin alongside Army’s 1st Brigade. At Robertson Barracks, they have access to huge training area. We do have issues with corrosion and the tropical conditions in Darwin with 100 percent humidity. But Darwin is an important place for us to operate. There was a delay to our initial operating capability (IOC). Testing the Hellfire went reasonably well. We had other issues and perhaps the biggest concerned the Thales TopOwl helmet. The Army transferred from ITT’s ANVIS 9 night vision goggles to the TopOwl and while it had advantages, the fidelity of the images wasn’t as good as we needed so that slowed us down – and we didn’t deploy at night. Those issues are now resolved and we are now flying with TopOwl 3, which has same acuity of ANVIS 9s. I flew with both during a single night and found the comparison quite useful. We now have a very powerful system and extremely accurate gun slaved to the pilot’s head movement. Combine that with Hellfire and we have a sophisticated and lethal weapons system. Having achieved IOC last December, Tiger deployed to South Australia with 7 Royal Australian Regiment for an exercise during which it demonstrated the capability to operate day and night into a high threat environment. 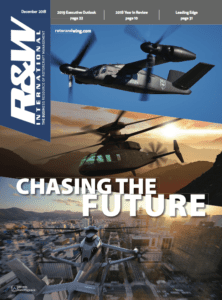 Rotor & Wing: What have been some of the lessons learned in bringing new platforms into service, particularly when you look back at the original timeline? Dalton: One of the things that has slowed the Tiger program is an immature support network where not all the elements were in place. The subcontractors were not on contract; it’s really been a matter of having to get the supply pipeline in place and working. We would order a part and it would take a year to turn around. Even now we still aren’t able to generate the rate of effort that we would really like. 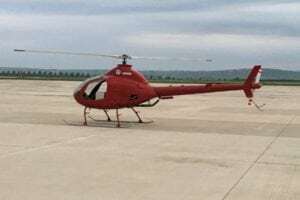 Eurocopter was told that we are unhappy and we have seen them put a lot more effort into correcting this, particularly over the last 12 months. There was a contractual dispute over spares during which time we had to buy more out-of-contract. We have seen an impressive increase in the amount of spares we are now carrying. Rotor & Wing: Are you involved in any Tiger user group? Dalton: We have observer status on the European Defence Agency’s (EDA) Organization for Joint Armament Cooperation (OCCAR) for the Tiger helicopter program, and we are looking to formally join. That will be interesting as we will be the first user outside Europe and we hope that will give us a little bit more influence. Rotor & Wing: And the same for the MRH-90? Dalton: There are different groups within NAHEMA (the NATO Helicopter Management Agency) and we participate in the NH-90 user community. As I said, we are seeing the benefit of a sustainable supply chain for Tiger now it is out of production but the focus in Europe is still on the production line for the NH-90 and not so much supporting the aircraft in service. Rotor & Wing: How have you got the MRH-90 back on course of the grounding incidents and it being listed as a Project of Concern? Dalton: In April 2010 we had an engine failure with an aircraft climbing out of Adelaide. We were very surprised as the engine is the Rolls Royce-Turbomeca RTM322 [now fully owned and supported by Turbomeca]. The problem revolved around an issue called thermal bowing and engine cooling. Different shafts cool at different rates. We are managing it now through cooling runs and blow-throughs on engine start-up, these will be automated on the introduction of the next FADEC [full authority digital engine control] update and will become transparent to the pilot. 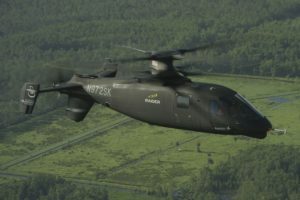 Rotor & Wing: What are the upcoming milestones for the full delivery of the MRH-90?